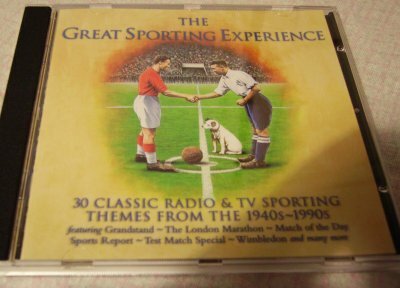 The (12) Sporting Occasion (Wimbledon Closing Music) â€“ Queenâ€™s Hall Light Orchestra Conducted By Robert Farnon, just the last few bars are still used sometimes on the BBC at the end of the programme. Whatever you might think of the music itself it brings back many memories for me going back over 45 years to my childhood. My late mother would watch hours of Wimbledon for two weeks, and appear each afternoon when that music sounded. Better still, it meant that the summer holidays were only a few weeks away. Ever since then I need to hear those 15 seconds or so closing moments at least once a year before my brain recognises that summer is here. And that is it with old themes, some are about the music, but most are about the nostalga and memories they carry. Next Next post: BBC European Athletics theme.